Why does our Powerband create so many advantages? People of any fitness level and any age group can get through our Let´s Band workouts. You are traveling a lot and there isn´t always a fitness center around? No problem, you can perform a Powerband workout everywhere and those tiny and lightweight bands will fit into every luggage or backpack. Reach your personal training goals completely independent of place, accommodation and time. We often see people warming up on a bike trying to increase their body temperature. But does this seem to be an appropriate way to warmup? The biggest amount of our population works in a sitting position for about 8 hours every day. So why would you choose a warmup in a sitting position? Wouldn’t it be a way more efficient to prepend a functional warmup which prepares you for your upcoming strength or interval trainings session? There is just this one right answer, “of course”. However, we expect a warm-up to do a lot more. You set yourself a goal and you are totally motivated to go for it. For the first weeks it´s not a big deal to stay focused and to work out for two to three times a week. But faster than intended your daily routine influenced by family and work stress is back. Your initial motivation goes down and your regular workout routine slides into the background. Is that a known cycle for you? If you scroll through Instagram and don't see a mini-band workout video, were you really on Instagram? Powerbands had slingshotted to full social peak, and no wonder: Powerbands are a great tool to have in your fitness gear arsenal. They can add an extra challenge to any go-to exercise move, they're totally portable and the easiest way to make body-weight exercises, like Freeletics, more effective. 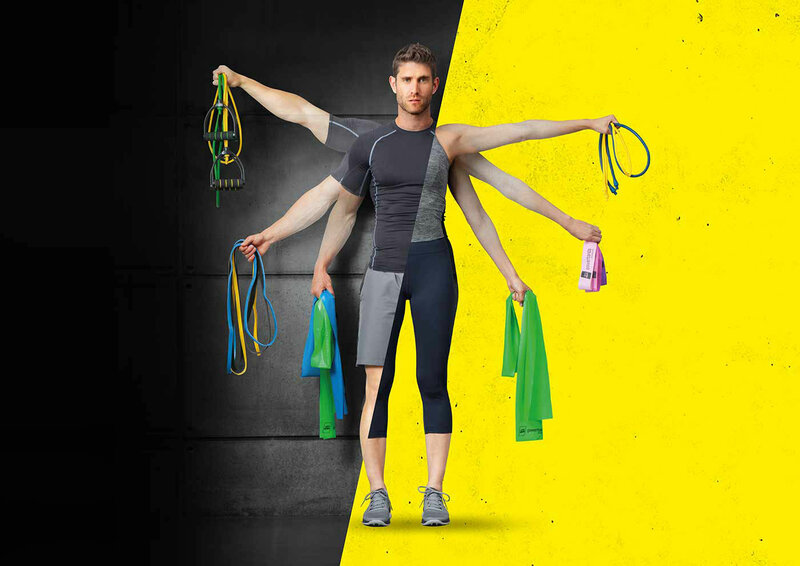 Your one stop solution for Resistance Bands Products, Education and Programs to Train anywhere anytime, to help you activate, stabilize, train and recover! Piriformis-Syndrom, have you ever heard of it?